OK this is a now brainer but still get asked sometimes. 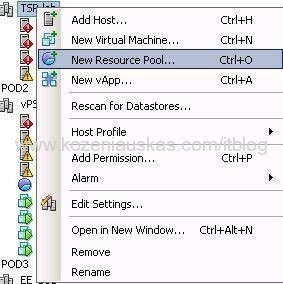 In the vCenter you right click on Cluster and New Resource Pool option is grey out. To create resource pool you need to have Distributed Resources Scheduler (DRS) enabled on the Cluster. Tick Turn On vSphere DRS click OK.